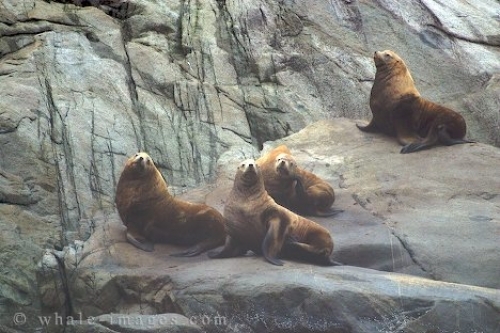 Sealion - Steller Sea Lions - Eumetopias Jubatus, British Columbia. Here lies the largest member of the earred seal family - the steller sealion. These guys were looking pretty relaxed as we inched closer to them for this family portrait. Although these handsome sealion lads were keeping a close eye on us the whole time, they stayed almost glued to their rock in defiance, and I was able to get a few rounds of photos taken.